Mental Models offers nothing less than a unified theory of the major properties of mind: comprehension, inference, and consciousness. In spirited and graceful prose, Johnson-Laird argues that we apprehend the world by building inner mental replicas of the relations among objects and events that concern us. The mind is essentially a model-building device that can itself be modeled on a digital computer. This book provides both a blueprint for building such a model and numerous important illustrations of how to do it. In several key areas of cognition, Johnson-Laird shows how an explanation based on mental modeling is clearly superior to previous theory. 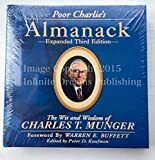 For example, he argues compellingly that deductive reasoning does not take place by tacitly applying the rules of logic, but by mentally manipulating models of the states of affairs from which inferences are drawn. Similarly, linguistic comprehension is best understood not as a matter of applying inference rules to propositions derived from sentences, but rather as the mind's effort to construct and update a model of the situation described by a text or a discourse. Most provocative, perhaps, is Johnson-Laird's theory of consciousness: the mind's necessarily incomplete model of itself allows only a partial control over the many unconscious and parallel processes of cognition. This an extraordinarily rich book, providing a coherent account of much recent experimental work in cognitive psychology, along with lucid explanations of relevant theory in linguistics, computer science, and philosophy Not since Miller, Galanter, and Pribram's classic Plans and the Structure of Behavior has a book in cognitive science combined such sweep, style, and good sense. Like its distinguished predecessor, Mental Models may well serve to fix a point of view for a generation. Philip Johnson-Laird's reformulation of psychology's approach to human reasoning came at an important time in the history of cognitive science. Cognitive psychology had edged behaviorism off of the stage and made the study of thinking once again respectable. Cognitive models of the mind were heavily influenced by analogies to computer architecture and the logical structure of software programs. This approach began to reach its limits, as research began to show that human beings reasoned in qualitatively different--and not necessarily inferior--ways than deductively-driven software. 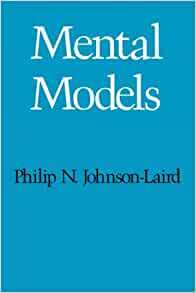 Instead of deductive logic, argues Johnson-Laird, human reasoning is based on the construction and evaluation of mental models of the world around us. We build these models using information from our senses, but also assumptions and long-term knowledge from memory. The book describes the principles of model construction and makes an extended argument for the superior explanatory power of this approach compared to deductive reasoning. It integrates findings from a broad range of topics, including errors made using syllogistic reasoning, advantages experts have when reasoning about their areas of expertise, human ability to reason with incomplete information, and our extensive use of spatial metaphor to organize knowledge. The research described in this book played a significant role in easing cognitive science away from overreliance on the computer metaphor for human reasoning. It is thorough and accessible to readers with an introductory background in cognitive psychology. Interested readers may want to continue with the author's latest book-length exploration of this topic in How We Reason.